Projects are becoming a critical part of corporate success yet research tells us that most projects do not fully succeed. According to the 2004 PriceWaterhouseCoopers Survey of 10,640 projects valued at $7.2 billion, across a broad range of industries, large and small, only 2.5% of global businesses achieve 100% project success and over 50% of global business projects fail. The Chaos Survey by The Standish Group reports similar findings. They say that 71% of all projects are either “challenged” (due to late delivery, being over-budget, or delivering less than required features), or “failed” and are cancelled prior to completion or the product developed is never used. Their statistics have not effectively changed since 1994. Organizational culture is made up of the attitudes, values, beliefs and behaviors of its employees. It reflects the demonstrated values and principles of the workplace, permeating everything an organization does. Essentially, it can make or break your organization. The ideal organizational culture is one in which projects are considered in strategic planning and are implemented to support an organization’s corporate strategy and corporate objectives. In this way, they receive the necessary attention and support of senior management and the organization’s resources to allow them to succeed. Each organization will have its own ‘ideal’ organizational culture, support systems and internal and external resources to achieve this. What are the Benefits of Implementing an Organizational Culture that Supports Projects? Projects will be aligned with corporate strategies, ensuring that business objectives are met. Projects come in on time, so your time to market is improved. What Will a Project Culture Initiative™ (PCI™) Involve? Having the “right” reporting structures for projects. 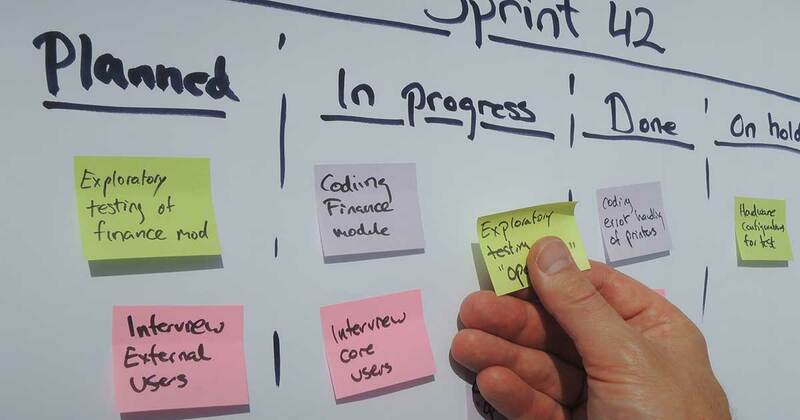 Having project prioritization systems to align projects with corporate strategies and business objectives. Developing the ‘right’ Performance Management to recognize work performed on projects. Integrating Project Management best practices for all projects. A Project Culture Initiative™ (PCI™) is not about: tools, techniques, methodologies, Matrix Management, project management processes or training. Understand what makes up their “ideal” organizational culture to incorporate projects. Measure where they stand today against the “ideal” organizational ‘project’ culture. Determine the goal and strategy to close the gap. Develop and implement the plan. The Project Culture Initiative™ (PCI™) is a proprietary change management process to help assess, identify and close the gaps between existing organizational culture and ideal organizational ‘project’ culture. The process has been designed from learning acquired through the research and experience we have conducted with organizations globally and applies our organization’s extensive knowledge capital and expertise. The PCI™ process creates positive changes in the organizational culture that are sustainable and brought about by all staff. All staff is engaged in the process to ensure their voices are heard, their contribution is counted and to gain commitment and buy-in. The process will also ensure that the changing customer requirements are continually met and the strategic plan is successfully executed. Communicate the PCI™ to the organization. Measure the organization’s current culture against the “ideal” project culture. Develop strategies to close the gap between the current and “ideal” project culture. A cross-functional steering committee that consists of a mix of management and staff will lead the project, guiding the approach for the organization. This committee will report directly to their Sponsor, the CEO/President of the organization. It will be important for the Steering Committee to define their purpose, roles and responsibilities as well as their communication strategy and expected outcomes. They will develop sub-committees of staff who will help to manage the on-going project change requirements. Step 2: Communicate the PCI™ to the organization. Step 4: Develop strategies to close the gap between current and “ideal” project culture. It’s management’s responsibility to determine how to close the gap between the current and “ideal” project culture for their organization. Guide your organization through a process to define and create a healthy Project Management environment. Identify the organizational changes that may be necessary to facilitate your ideal organizational ‘project’ culture. Outline a plan to achieve your ideal organizational ‘project’ culture. Our research tells us that this process will help your organization improve its project management performance and business success by ensuring that project management becomes a competency embedded into everyone’s role.